We partnered with ACO for the Thanksgiving and Christmas distributions, hosting onsite storage, sorting, and distribution. Details to come. Along with Methodists around the area, we built a home for Ede Tutt and her children, 7 year old Odianosen and 3 year old Tiyosayi Esekhile. 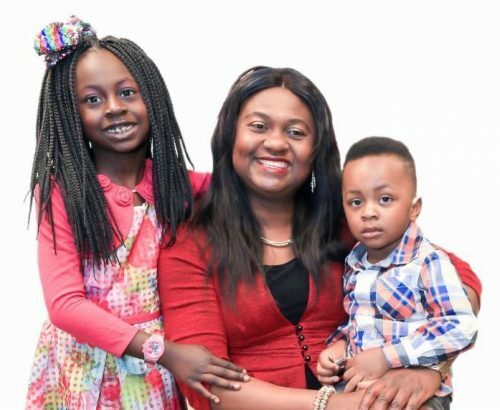 Besides being a busy mom, Ede works full-time as a nursing assistant at a local nursing home and is studying to become a certified phlebotomist. Ede’s father, Tony Igbenosa, brought the family to America, but later returned to Nigeria to be with extended family after living and working in the US for 20 years. The Tutt family is very happy to call McKinney home. We had 19 committed volunteers serve on our build days. 10 of those had not participated with us in the past. Our volunteers served for approximately 150 impact hours. Three different Sunday school classes provided lunch for 25+ volunteers on each of our build days. “I wish I could take one picture that captures the significance of what our Thanksgiving Feast means to our families. Many will see a plate with turkey, fixings, and desserts that are typical of a Thanksgiving dinner. Questions arise, “Whose side of the family will host the dinner? Do we have enough food? What football team are you cheering? However, many will sit at home remembering that for reasons beyond their control they will not be able to go back home and share with family, that perhaps their significant other is not around or even not having a significant other. Being a single parent trying to raise a family with very little support. Families making just enough money to pay bills and buy basic groceries. So what do we do? How do we make a difference? We rise and we unite and we make sure that at least for one evening these families can feel loved, appreciated, welcome, we wait on them and dote on them with attention. We ask them how are they? we laugh, we smile, we even shed tears with them when they tell us their story, we offer a friendly hand, we hug the mom that tells us the joy of her illness doing better, we offer a plate to the family that is hungry, we hug just because we love, we give the single dad a holiday celebration with his son before he goes to visit his mom, we offer the man sitting in a wheelchair one night free of worries. The list can go on and on because one thing I have learned is that there is a lot of bad and sad in this world but there is greater good and happy. Also from Marisol: “Through the Holiday Store we are able to extend a shopping experience for our students in which they get to work for a ticket and turn in this ticket for a gift to a special someone. Our goal is for each student to go three times. 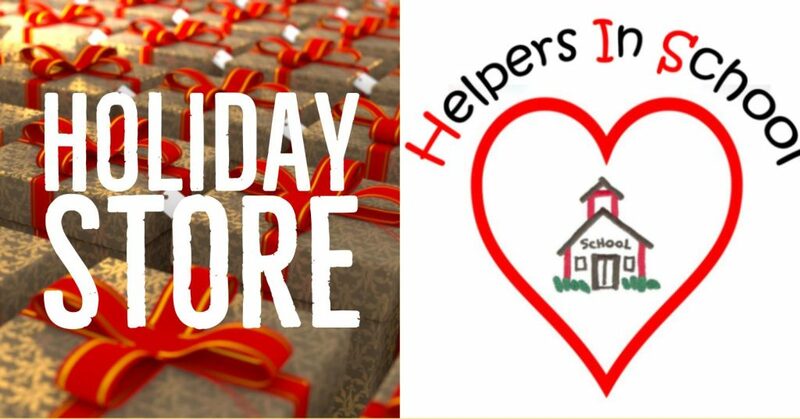 Once the Holiday Store is over our staff is able to “shop” (for a reasonable donation) for a period of two hours. The money collected from this is put into our Sky Ranch Scholarship Fund that allows for students who are homeless or facing financial difficulties to attend Sky Ranch. Our motto is that every 5th grader that wants to go to Sky Ranch will go even if they cannot afford it. Once the staff shopping hours are done we take the leftover items and donate them to the ACO. We love doing this because the ACO will give shopping vouchers to the families in need and they can buy anything that the store has. So basically it is a full circle of giving. Some years like this year we may have a family that comes in to sign up in the last minute for Holiday Gifts or a middle school or high school teacher will contact me to see if I have anything to give a teenager who is in need and I will select a few things from the store that are age appropriate and that I think they will like and make a little gift bag for them. On Sunday, November 11, Kids Against Hunger saw 250 volunteers who served for over 300 hours and were able to package 28,080 international meals and 6,048 domestic meals. 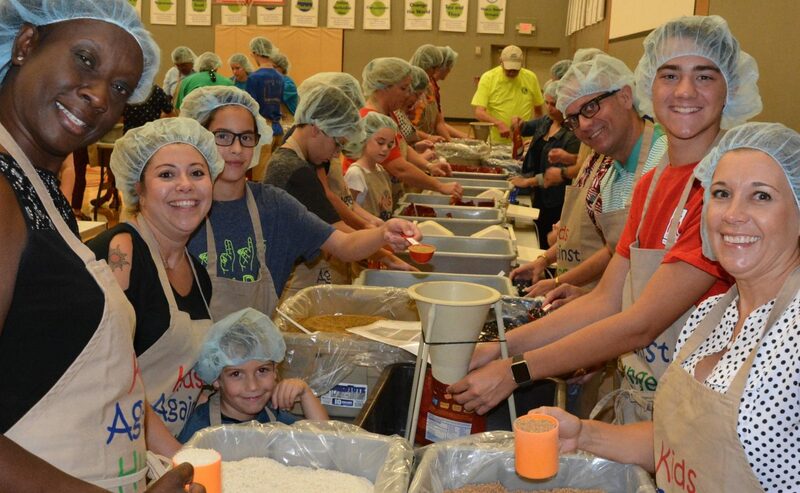 Volunteers of all ages assembled packages of highly nutritious vitamin-fortified meals for children in Honduras as well as “Latin rice” packages to feed local families served by food banks. On the same November Sunday time, 29 volunteers stuffed stockings for our annual Stockings for Soldiers campaign. We were able to create over 700 stockings which were sent to men and women who were deployed over the holidays. We shipped about 15 large boxes and 9 small boxes to 11 different people who then shared the stockings with their units. The postage cost alone for this project was $942.95. 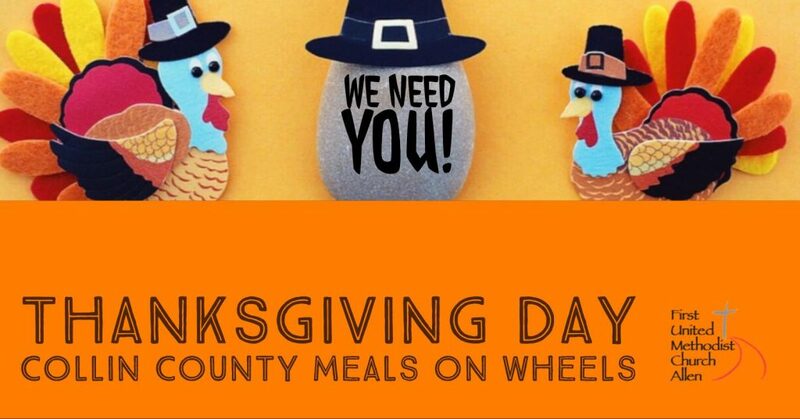 On Thanksgiving Day, we prepared 724 meals for 270 households on 92 different routes across Collin County. Volunteers from our church prepared mashed potatoes, dressing, pie and cranberry sauce and help cook and carve turkeys. We then add over 100 volunteers of all ages to package meals, work in the kitchen, or hand off meals to officers for delivery to the MOW client’s homes. One of the most moving parts of this effort is our collaboration with law enforcement across Collin County. These officers are amazed by the scale of our work and appreciative of the opportunity to connect with the community they serve and protect. Founded by church member, Dr. Tom Brian, to serve the people of the Moskito Coast of Honduras, Send Hope built the House of Hope which is home to partially disabled, abused, neglected, and/or malnourished children. 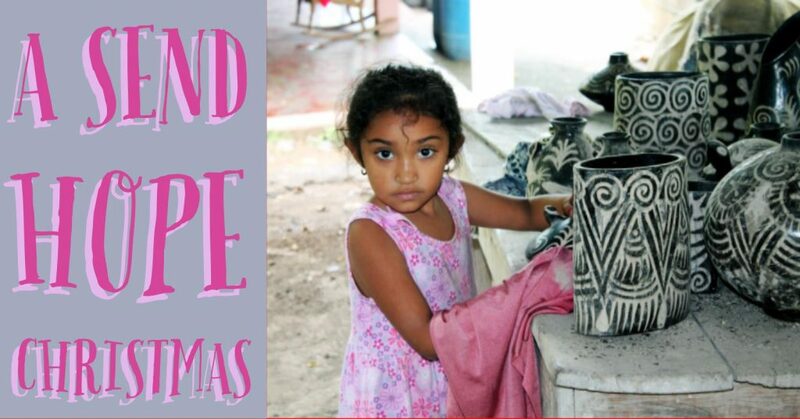 This year we collected 108 bags filled with Christmas gifts for the children of Honduras. In December, our church hosted the second annual Hearts for Hope dinner! We were blown away that we had 173 people in attendance, including Bishop Mike McKee and his wife, Joan. The year 2018 was a big success for the Hosacks and for the House of Hope. Steven and Lauren shared not only several of the ways we have thrived, but how the kids we serve thrived as well. Their goal and dream going into the dinner was to raise $50,000 needed for their annual living expenses as well as the remaining $30,000 needed for our new home to be located across the street from the House of Hope. When we combine funds raised through the Hearts for Hope fundraising dinner with our current and new monthly donors, we raised just under $39,000. In the weeks that followed, the remaining $41,000 was raised and Steven and Lauren have begun construction on their new home. Our church continued our partnership with the Islamic Association of Allen by serving side by side on Saturday, November 24. Our joint team of volunteers, including 20 people from our church, helped package 405 meals which include turkey sandwiches, water, fruit, and snack items to serve homeless persons in Dallas. We are planning that this partnership was the first of many regular opportunities to serve together. During the Advent season, our church collects teddy bears (and other cuddly creatures) for the children at Boyd Elementary. After a season of being filled with hugs and prayers, these 187 bears will be distributed to the students at Boyd Elementary later in the school year at Boyd’s annual Bedtime at Boyd event.